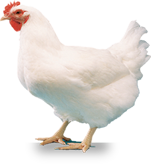 The Association shall be called "The World Veterinary Poultry Association" (WVPA). The Association shall consist of Honorary Life Members and Ordinary Members. Honorary Life Members: Ordinary Members who have given long and valued service to the Association may be elected as Honorary Life Members with retention of all existing membership rights. Honorary Life Membership may also be conferred on members and non-members of the Association who have made distinguished contributions to avian science. Nominations for Honorary Life Membership shall be made to the Bureau by any member and if approved shall be put to a General Business Meeting for election by majority vote. Ordinary Members: Veterinarians interested in avian science and related subjects shall be eligible for Ordinary membership. Non-veterinarians holding a recognised scientific qualification may be accepted into Ordinary membership provided they are directly engaged in research, advisory work or teaching concerned with avian science. Any Ordinary member may serve as national representatives on the Bureau and may hold office. (Applications for membership shall be made to the national branch of the World Veterinary Poultry Association, or in its absence direct to the Secretary/Treasurer. The national branch or the Secretary/Treasurer shall grant membership. The Secretary/Treasurer may also accept members who choose not to join a national branch. When a person has been accepted into membership of the Association, that person shall be informed in writing of their membership by the national Corresponding Secretary or the Secretary/Treasurer, and be sent a Certificate of Membership and a copy of the Constitution and Rules. Each Ordinary Member shall pay an annual subscription, the amount of which shall be determined by the Bureau of the Association. Subscriptions shall be paid to national Corresponding Secretaries either through a national organisation or directly. For countries without a Corresponding Secretary, subscriptions may be paid directly to the Secretary/Treasurer. The subscription shall be payable in advance and shall be received by the Secretary/Treasurer by 1st June each year. The Corresponding Secretary or the Secretary/Treasurer shall provide members with a receipt for subscriptions paid. If two years in arrears with his or her subscription, a member shall after due notification forfeit all membership rights and privileges. Members wishing to resign shall notify the Corresponding Secretary or the Secretary/Treasurer before the subscription becomes due. National branches shall normally be formed (i) from an existing national body representing veterinary poultry science interests requesting its recognition by the Bureau, with members joining the World Veterinary Poultry Association, or (ii) by a group of individual members in a country joining together with the approval of the Bureau to form a national branch. Normally a branch should consist of at least ten members. One national branch for each country will be recognised and be entitled to representation on the Bureau when the branch consists of at least twenty members. Regional sub-branches may be formed with the approval of the Bureau. Any national branch shall either appoint a Corresponding Secretary in a manner of their choosing or be represented by a Corresponding Secretary selected by the Secretary/Treasurer of the Association. The name of the member elected shall be reported to the Secretary/Treasurer for announcement to the Bureau at its next meeting and at the subsequent General Business Meeting. The Corresponding Secretary of any branch shall also act as the Bureau member for that country if the branch has at least twenty members. This minimum number shall be subject to change by the Bureau as circumstances require. Corresponding Secretaries shall be responsible for collecting subscriptions from their national members. The subscriptions, and names and addresses, of members shall be sent to the Secretary/Treasurer before the 1st June in each year. Corresponding Secretaries shall keep their members informed of all Association matters that concern them. Corresponding Secretaries shall write an annual report to be published in the WVPA Newsletter Aerosols on the branch activities and relevant news and information from the country and deliver it to the Editor of Aerosols. The Officers of the Association shall be the Honorary Life Presidents (non-voting), a President, two Vice-Presidents, a Secretary/Treasurer, the Editor of Aerosols and the Editor-in-Chief of Avian Pathology. One Vice-President shall be the retiring President. The other Officers excluding the Editor-in-Chief of Avian Pathology shall be ordinary members and shall be nominated by the Bureau from members of the Association and elected at a General Business Meeting. The Editor-in-Chief of Avian Pathology shall be nominated and elected by the Houghton Trust. The Office of Honorary Life President shall be conferred on members who have served the Association with great distinction. Nominations shall be made by the Bureau from members of the Association and elected at a General Business Meeting by majority vote. The President and Secretary/Treasurer shall be elected for a period of four years. The Secretary/Treasurer shall be eligible for re-election for one further period of four years. The Vice-Presidents shall hold office for a period of four years. The Editor of Aerosols shall be appointed for a period determined by the Bureau and shall be eligible for re-election. The Editor-in-Chief of Avian Pathology shall be appointed for a period determined by the Houghton Trust. Not less than six months before the expiry of any office the Secretary/Treasurer shall ask members of the Bureau for nominations for the office concerned. Such nominations must be proposed and seconded by members of the Bureau who must have obtained the consent of the nominees. All nominations received shall be approved by the Bureau and put to the General Business Meeting for election by majority vote. If more than one nomination is received for any office the appointment shall go to the nominee receiving the most votes at the General Business Meeting. The routine business of the Association shall be transacted by a Bureau that shall consist of the Officers of the Association and the Corresponding Secretaries who represent countries with a minimum of twenty members of the Association. This minimum number shall be subject to change by the Bureau as circumstances require. Each Bureau member except Honorary Life Presidents has one vote. When a Bureau member is also an Officer that member is entitled to two votes. In any matters concerning the interpretation of the Constitution and Rules, the decision shall rest with the Bureau. The Bureau shall decide any matters concerning the Association which are not covered explicitly by the Constitution and Rules. Any country with twenty or more members of the association shall be entitled to one representative on the Bureau who is normally the Corresponding Secretary of the branch. Bureau members shall serve for a period of four years starting immediately after a General Business Meeting. Members shall be eligible for re-election. If necessary a Bureau member may nominate a substitute to attend a Bureau meeting and vote in their absence. The Bureau may if necessary co-opt a new member if a vacancy occurs. The Bureau shall meet at least every two years usually during a Congress for transaction of the Association’s business. Notice of such meetings shall be sent to all Officers and Bureau members at least six months before the meeting. A quorum for all Bureau meetings shall be seven and resolutions shall be approved by a majority vote of those present. The Bureau shall be empowered to employ, on the recommendation of the President and Secretary/Treasurer, any staff necessary for the transaction of the Association’s business. The financial year shall start on the 1st January. The audited balance sheet shall be circulated to all Corresponding Secretaries within three months of the end of the financial year. The Association shall hold Scientific Congresses and other Scientific Meetings at which scientific papers shall be communicated and the ordinary business of the Association transacted. Scientific Congresses shall be held every two years. The venues shall be chosen by the Bureau four years in advance from competitive bids presented by national branches that have a representative on the Bureau. The procedure for bidding to organise Congresses shall be determined by the Bureau and shall be provided in written form to all national branches (see Appendix to the Constitution and Rules). Organisational and financial liability shall be the responsibility of the hosting branch. The representative on the Bureau or a deputy shall take an active part in the local organising committee and shall report once a year to the President and the Secretary/Treasurer of the Association on the arrangements being made for the Congress. There shall be a General Business Meeting of all Members held once every two years during the Congress at which the Secretary/Treasurer shall present a report, the Editor-in-Chief of Avian Pathology shall present a report, and officers shall be elected. A quorum for all General Business Meetings shall be fifteen and resolutions shall be approved by a majority vote of those present unless stated otherwise. Proceedings of meetings are private and shall not be communicated to the Press without the permission of the Bureau. Resolutions shall be considered by the membership only at General Business Meetings and shall be submitted with the name of the proposer and seconder to the Secretary/Treasurer at least two months before the said meeting. Aerosols shall be the Newsletter of the Association. Avian Pathology, owned by the Houghton Trust, shall be recognised as the official journal of the Association. An Advisory Board shall be appointed by the Bureau to offer advice to the Houghton Trust on the editorial policy of Avian Pathology. The Advisory Board shall consist of the President of the Association, six members of the Association appointed by the Bureau, the Editor-in-Chief of Avian Pathology, and one other member of the Houghton Trust. Meetings of the Advisory Board will normally take place every two years at the time of a Scientific Congress. The President of the Association shall act as the Chairperson at these meetings and the Editor-in-Chief shall act as Co-Chairperson. The term of office of the Association’s members of the Advisory Board shall be six years, not renewable for at least two years. Two Association members will be replaced every two years. A quorum for meetings of the Advisory Board shall be five. The Constitution and Rules can be altered only at a General Business Meeting and only after notice has been given to members at least three months previously. Proposed alterations require a proposer and seconder. No alteration shall be made unless at least two-thirds of those present and voting are in its favour. Bidding countries shall inform the Secretary/Treasurer of WVPA of their intention to bid at least 2 months before the relevant Bureau meeting. Expenses of presenting a bid shall be borne by the bidding country. All aspects of the organisation of a Congress, including programme selection, advertisement, delegate registration, publications, commercial displays, accommodation arrangements, and financing, are the responsibility of the national organising committee. The WVPA does not undertake to provide funding for the costs of organising a Congress nor to underwrite any financial loss that might occur. Any credit balance remains the property of the national organising committee. (Note however that it is not the wish of WVPA that national organising committees make high profits). The national organising committee must include the national WVPA Corresponding Secretary. The national organising committee of a successful country must keep the WVPA President and Secretary/Treasurer informed of the progress being made during the organisation of a Congress. The national organising committee may enlist the help of professional conference organisers, but the cost of this is the responsibility of the national organising committee. The national organising committee of each bidding country shall make a presentation of their bid to the Officers and Bureau members at the WVPA Bureau meeting held 4 years before the proposed Congress. Professional conference organisers may contribute to the presentation. Documents and other presentational media in support of each bid must be made available by the time of the presentation. The national organising committee must also precirculate WVPA Officers and Bureau members with documents in support of their bid. Each bidding country shall provide proposals for the date, programme, pre or post congress tours or other activities, and registration fees. The formal presentation, and time for discussion of the bid, will not exceed 30 minutes. Votes of Officers and Bureau members shall be casted by secret ballot. Each voting member shall have one non-transferable vote for each office held by the individual. Proxies may attend the Bureau meeting in the absence of an Officer or Bureau member. The winning bid shall be the one receiving the majority of votes. In the case of a tie, a second ballot shall be held for the purpose of counting the votes. The name of the winning bid only will be announced. The WVPA may lend the organising committee of the successful country a sum not exceeding US$ 1000 to help with initial organisational costs. The sum lent must be repaid to WVPA after the Congress.